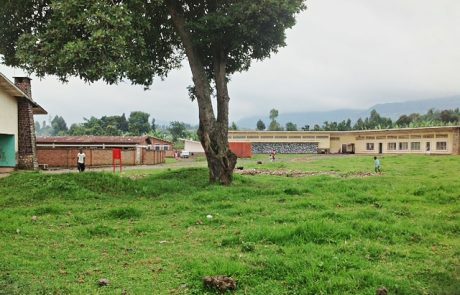 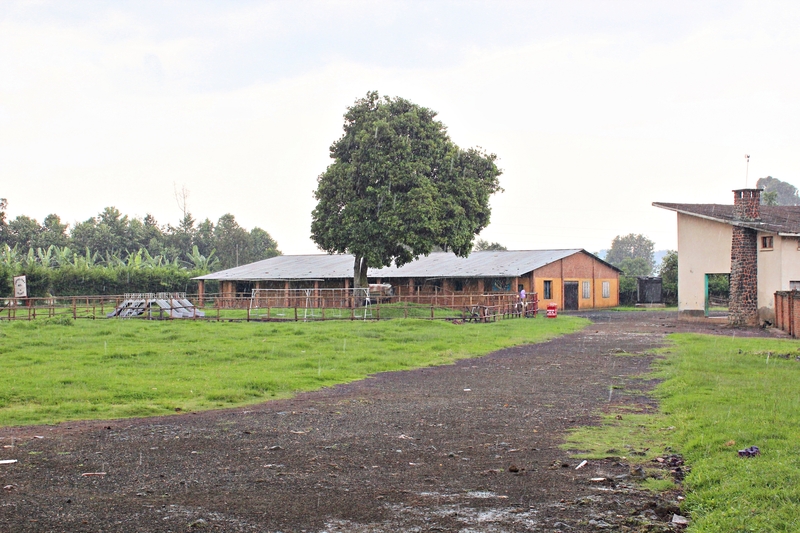 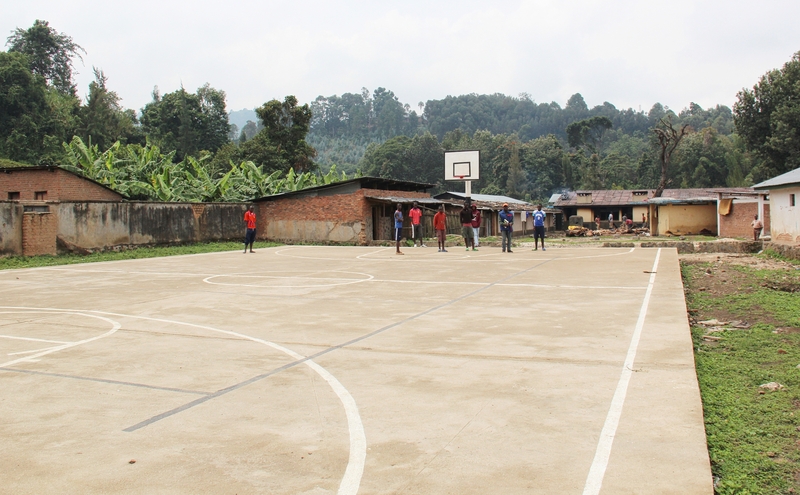 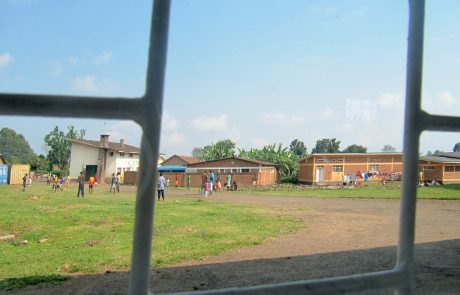 The primary playing area was a few acres of grassland by the junior & senior boys’ dormitories. A large avocado tree provided some shade in one far corner by a collection of containers that housed donated goods. 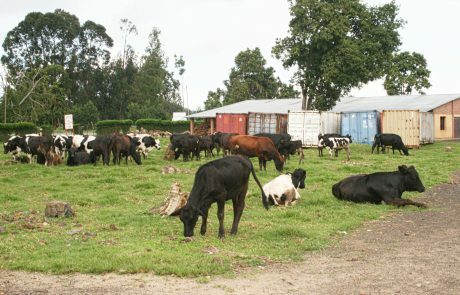 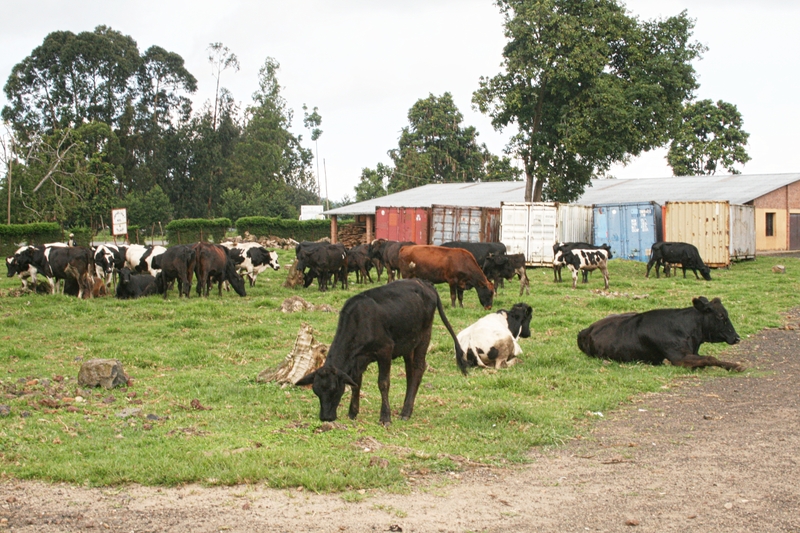 Grazing cattle frequently claimed play space. 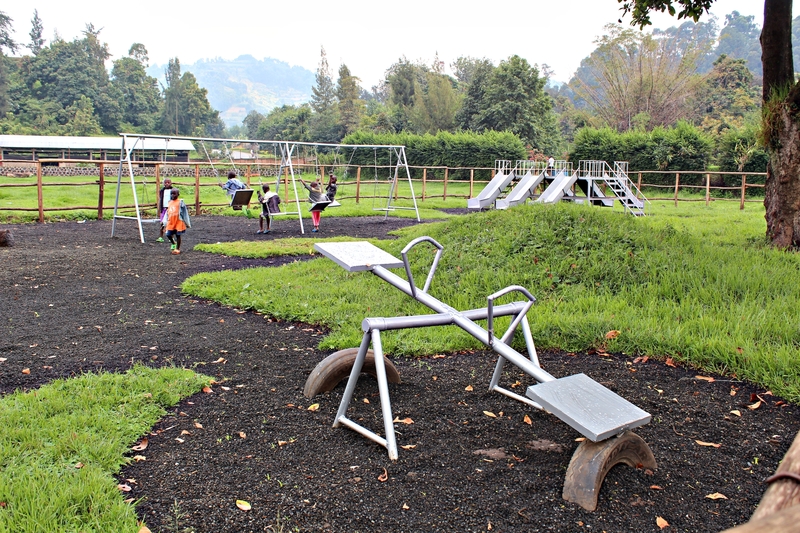 Swings were erected at various times, often falling into disrepair through overuse by so many children. 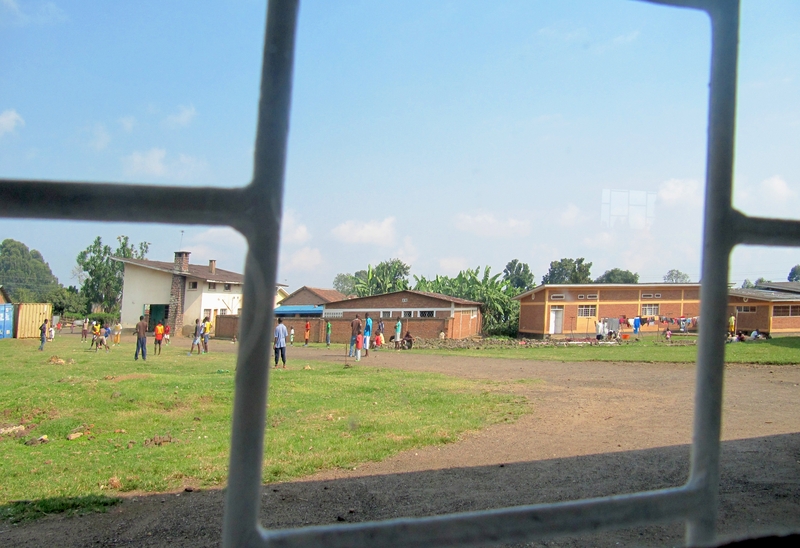 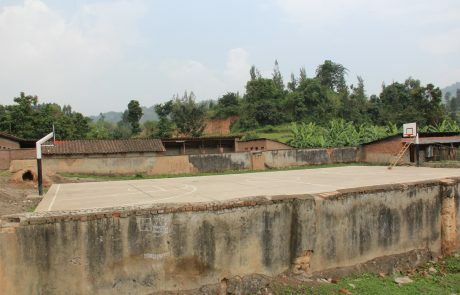 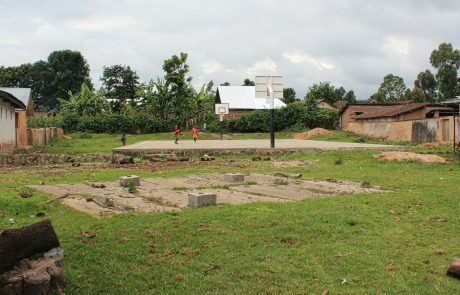 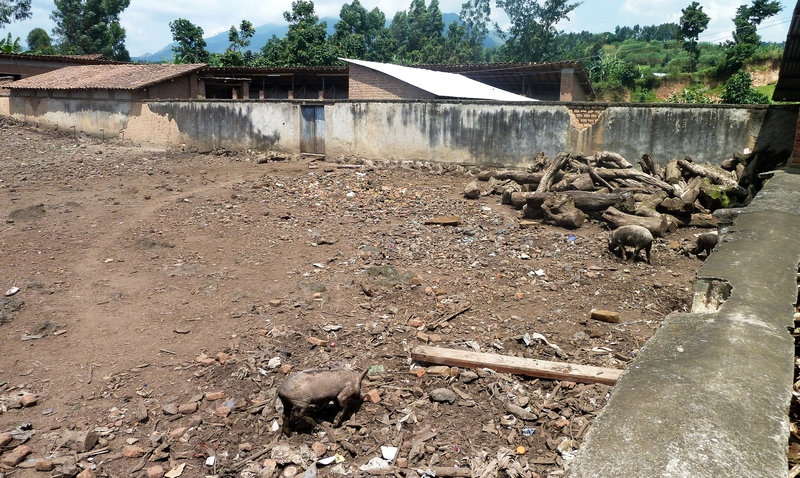 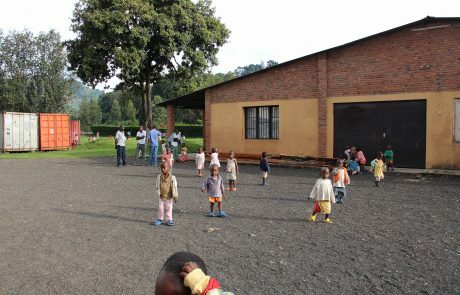 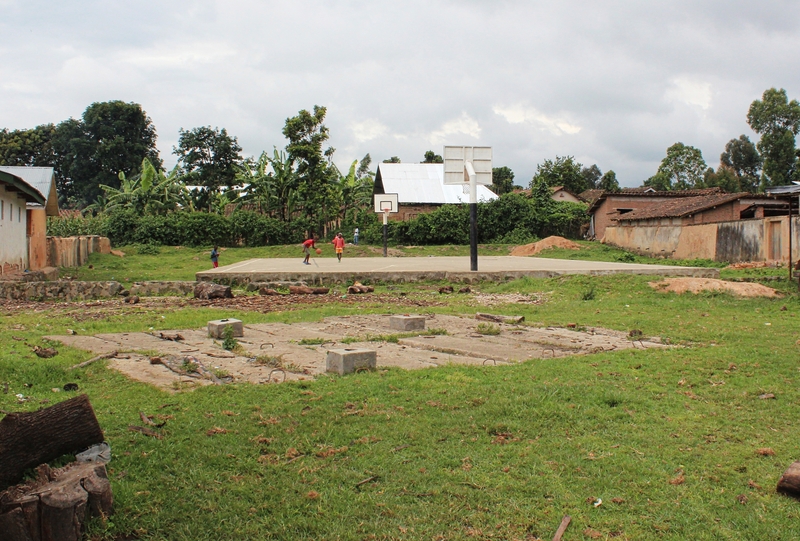 In its last few years the orphanage was given a fenced playground with more sturdy equipment. 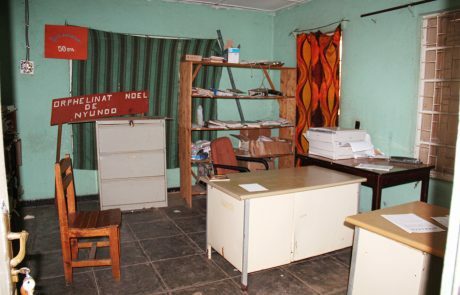 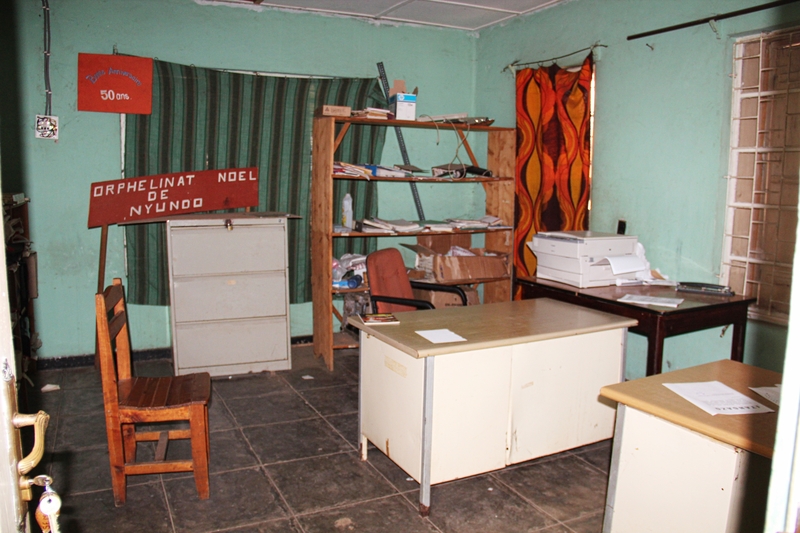 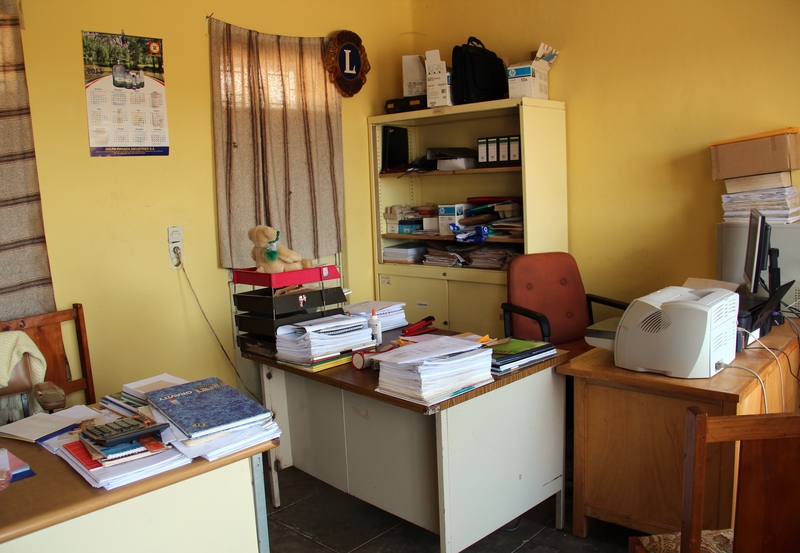 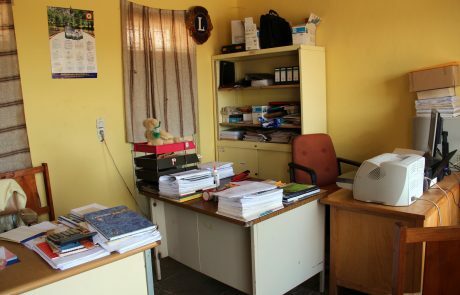 Overlooking the field was the admin block with makeshift offices for the management staff. 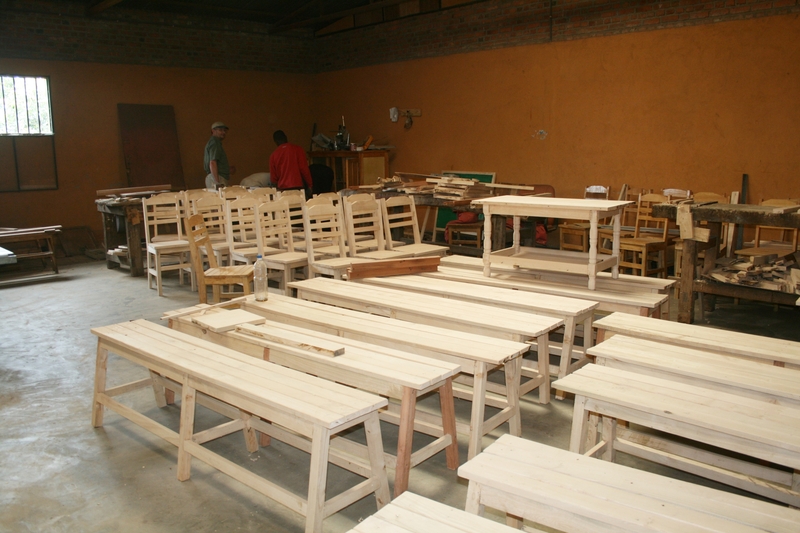 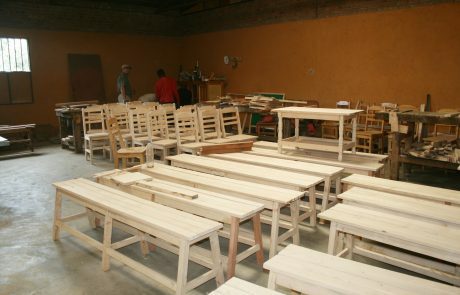 At the opposite end was an enormous workshop rented to carpenters who often supplied furniture for the orphanage. 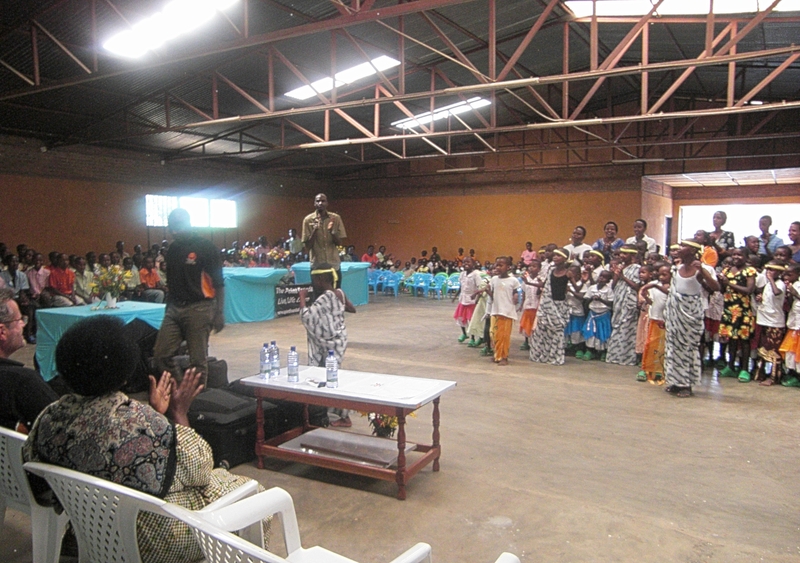 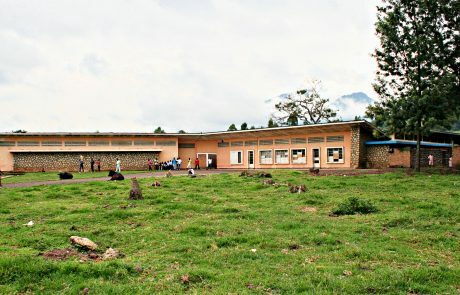 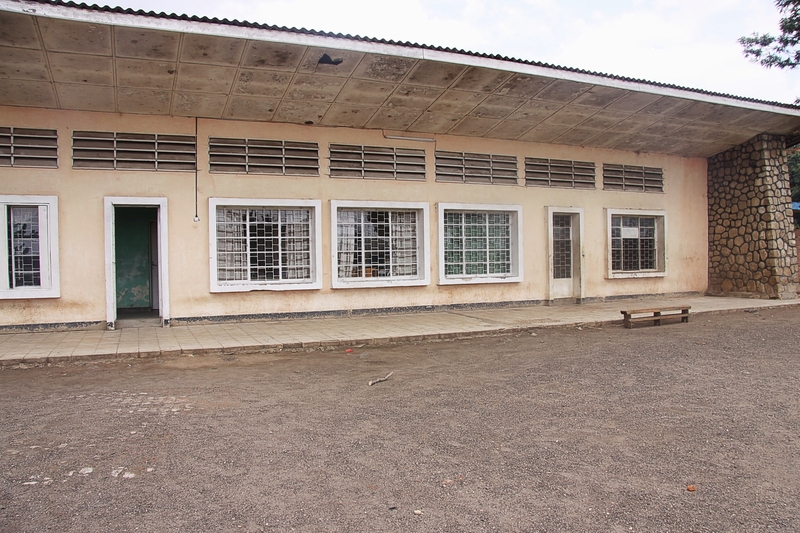 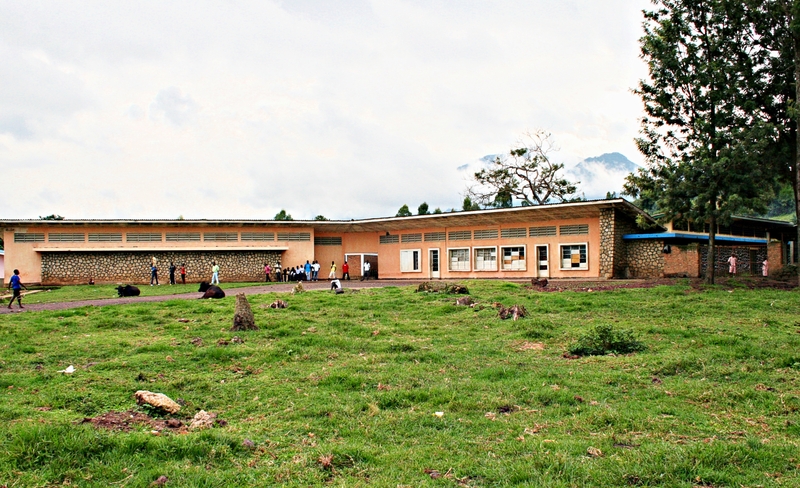 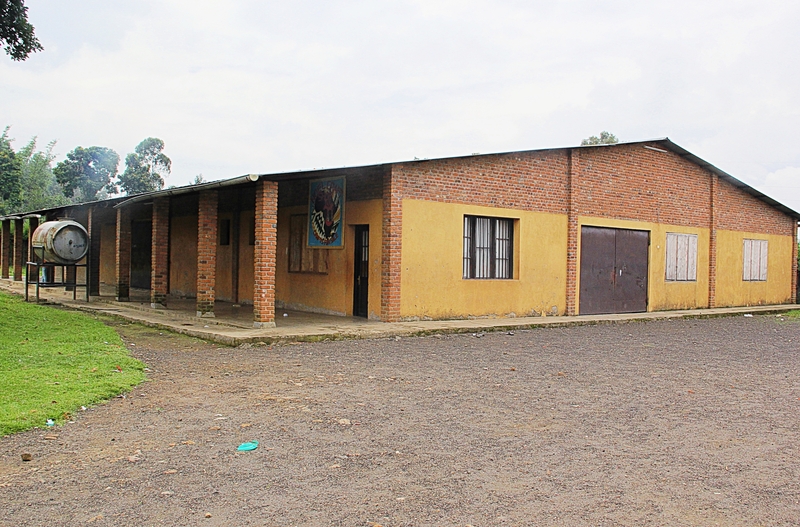 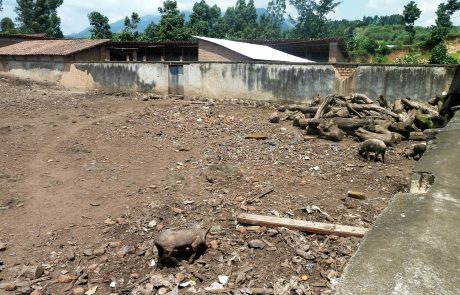 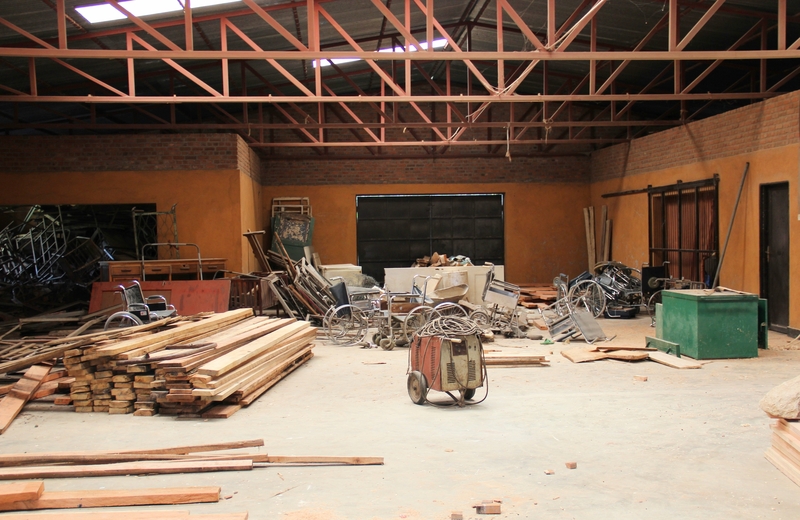 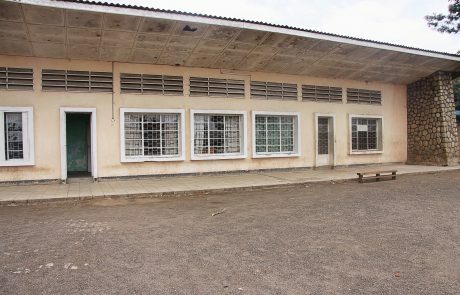 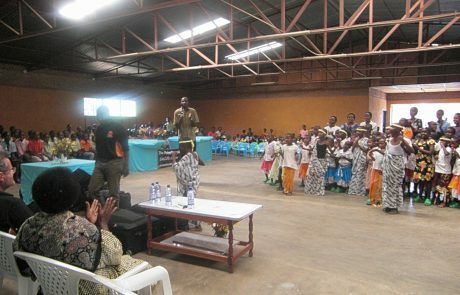 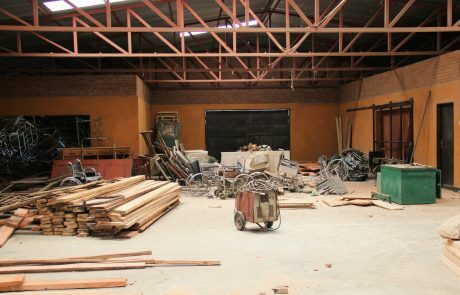 The workshop was also used as an assembly hall during the rainy seasons. 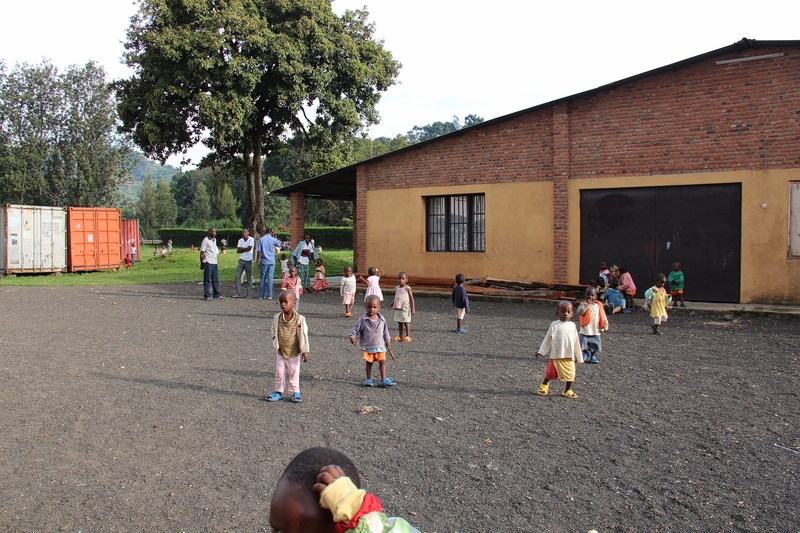 The youngest children would play on the gravel forecourt or under the verandah on the side of the workshop. 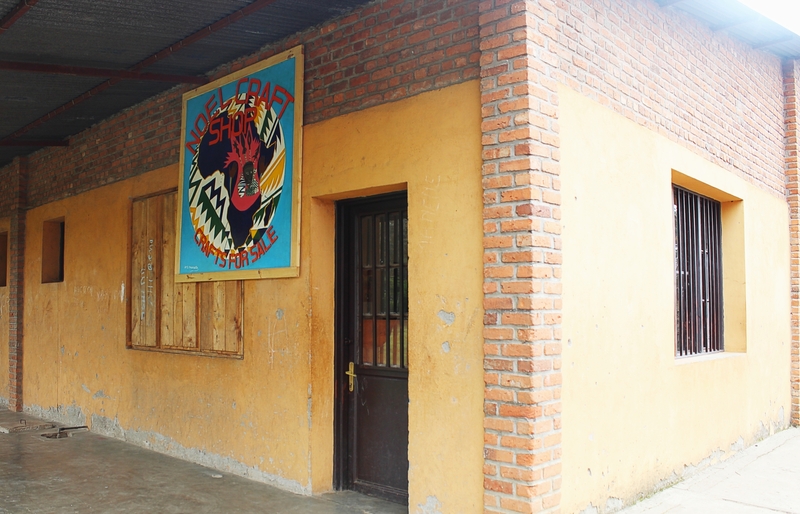 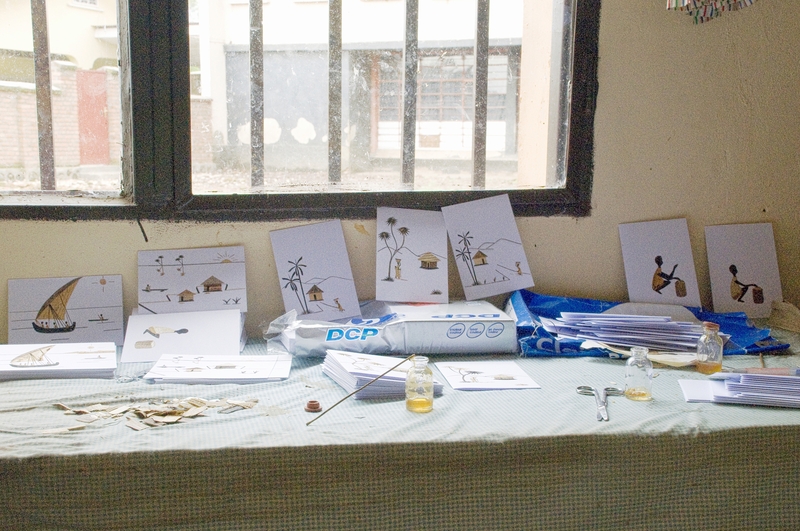 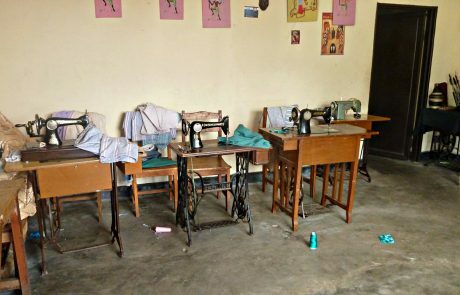 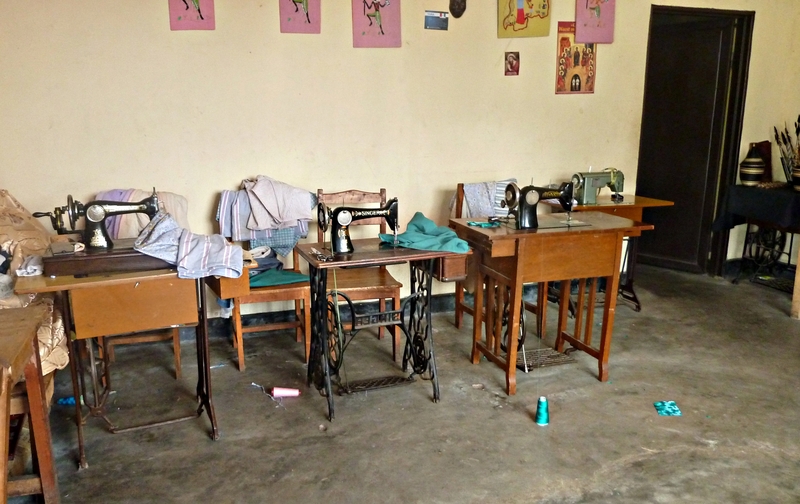 A room at the entrance of the building was used a craft shop and sewing repairs centre. 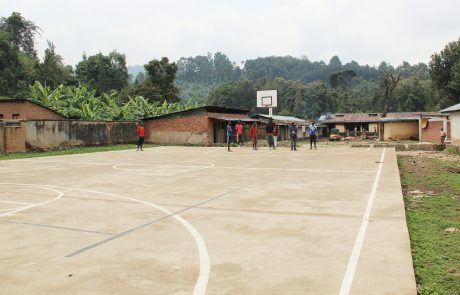 Beyond the playing field next to the piggery, an area of wasteland was rebuilt and turned into an all-weather sports pitch, providing a designated place for basketball, volley ball and tennis.